If you want to make an impact in the world of online marketing and business, you are going to need a high-quality website, a fancy logo design, and also banners and ad creative to market everything effectively. With all of this in mind, a lot has changed in the past several years when it comes to online marketing and how a brand or website can find the most success. Today we are going to look at the many different ways websites and online advertising have evolved over the past several years, while also providing a few resources and tools to help your brand or online business along the way. More importantly, also what it takes to grow an online business and brand that stands out from the crowd, while also combats against banner blindness. The early days of the internet were completed one-sided in comparison to the way it is today. This mostly changed with web 2.0 and made the internet more of a two-way conversation. Instead of having a basic HTML website where the end user would just read content and then move onto another site, it’s now all about site-to-user engagement and implementing social media into the mix as well. 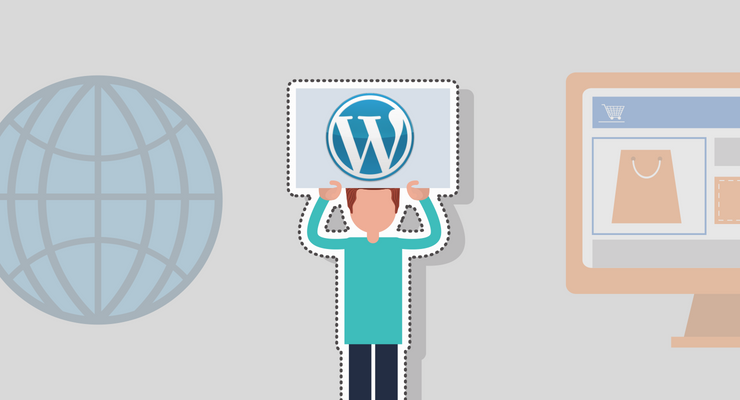 Throw the addition of WordPress into the mix, and now you have a complete game changer. Now there are basically no technical skills required to get started with a site of your own. WordPress does all the work and can be installed with the simple click of a button. Continued changes made the internet have to adapt with the growing usage of mobile devices and tablets. No matter what type of coding or CMS one used to create their site, it must be completely responsive across all devices. Not only would this play a major role in site engagement, but also how Google would index and rank sites as well. Internet advertising is everything. It’s the bread and butter for some of the largest media companies in the world, like Google — while also being the driving source of traffic to big media and entertainment sites as well. Just like everything else in the industry, banner advertising has changed a lot as well. Along with the evolution of online advertising and banner ad spots, so have the ways to create such ad copy. For example, the process of creating a banner has changed quite a bit as well. In the past, you would need to hire a graphic designer or simply be a designer yourself. Now through the use of online tools and browser-based software, anyone can make a banner in just a few minutes time, while also having the option to download a full variety of images and sizes as well. You can see an example of this below. 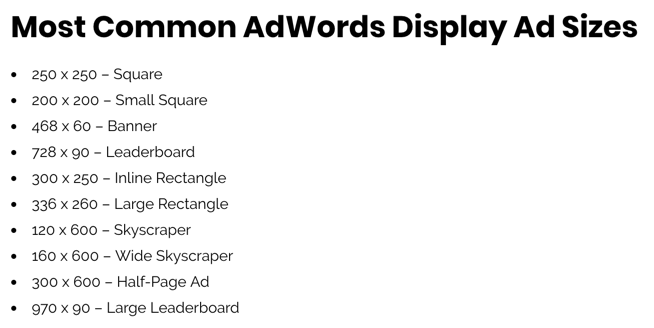 While advertising companies like Google Adwords have scaled their banners ad spots from the normal 468×70, 300×250 and 728×90 sizes to now more than twenty different sizes, they still aren’t the only traffic source and display advertising option in town. Native advertising has completely disrupted the world of online advertising and viewing content on various sites — as some of the largest sites on the internet at now displaying such ads. The important thing to note here is that these native ad spots aren’t the traditional sizes of your Google Ads placements, but often a custom rectangle or square design depending on the platform. 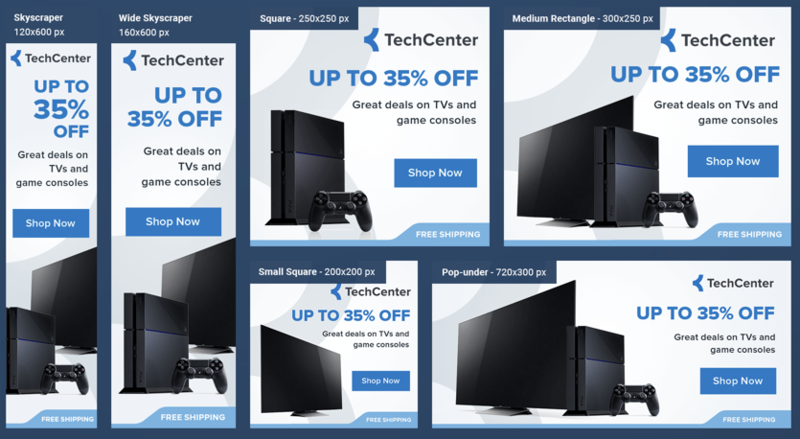 No matter what type of banner advertising you are focusing your efforts on, eventual success is all about split testing different designs and sizes. Also, don’t just focus on different ad sizes, also focus on completely different designs as well. 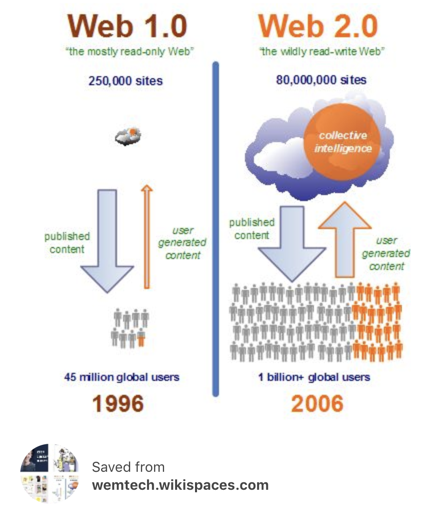 The one consistency with the internet over the past two decades is the massive growth of websites and online content. Websites and brands want to rank higher in the search results, get shared more in social media, and get more attention. However, just pushing out more content isn’t the answer. Content alone will no longer win this game, and it’s all about appealing best to your audience, giving them the best information or service possible, and also getting it right in their faces. With each of the changing elements and transitions we’ve already mentioned, site content often changed along with it. What once used to be content that was written for a one-way static engagement, is now loaded with images, video, infographics, and social media elements as well. Content creation has also changed heavily in reference to not only who is creating content, but also their reach as well. For example, look at any of the top YouTube creators in the world today, and you will often find they have a much larger reach over any professional brands, products, or services. The majority of great content on the internet today is mostly user-generated. As native advertising continues to grow in popular, viral and newsworthy content is now more of a focus than ever before as well. Many websites will now only provide their audience with a piece of their whole content, thus making them continually click through 20-30+ smaller content pages. Make no mistake — the internet isn’t going anywhere. However, the way we all use it will continually change, while also becoming more of a personalized environment in the process. This can already be seen through what’s happening on major social platforms, how advertisers are targeting audiences based on demographics and interests, and lastly, how niche audiences are finding their own influencers and content creators outside of traditional media networks and big ad agencies.